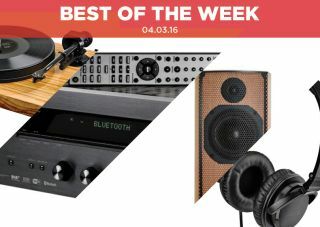 Best of the Week: BBC to close iPlayer loophole, Ultra HD Blu-ray release date and more | What Hi-Fi? This week we learned when Ultra HD Blu-rays are going to be released in the UK, that the BBC has been given the green light to close the licence fee loophole regarding iPlayer and that ATC has introduced an active version of its SCM19 loudspeaker. In terms of reviews there’s Onkyo’s TX-8150 network receiver, Pro-Ject’s 2Xperience SB turntable and Beyerdynamics’ DTX 350p headphones. 4K Blu-ray releases recently went on sale in the US, but there had been little word of when Ultra HD Blu-rays would drop in the UK. Until now. Eight 4K Blu-ray releases are set to hit the market on 11th April (you can pre-order now), with all titles coming from 20th Century Fox. They’ll include HDR and have a price tag of £25 each. You can peruse the small selection of titles on both HMV and Zavvi. Viewers who do not pay the licence fee will have to cough up in the near future, as the BBC will be able to end a loophole that has allowed users to watch catch-up TV on iPlayer without paying. Currently only live broadcasts come under the licence fee remit, but culture secretary John Whittingdale is drafting legislation that will extend this to catch-up programmes and apply it to a range of devices other than just your TV. There’s a new version of ATC’s SCM19 speaker and it’s packing a few changes. The SCM19 gobbled up our Best standmounter £1200+ Award, but this new incarnation is an active floorstander that ATC claims is acoustically identical to the passive, standmount version. Other revisions include lowering the operating temperature to improve reliability, along with the modification of the amps to reduce noise and distortion. The SCM19AT will go on sale this month for £4990 a pair. "What makes the TX-8150 a truly recommendable product is just well it performs." A network receiver doesn’t sound too exciting. Rest assured, despite its unassuming looks, the TX-8150 is a great piece of hi-fi. It's a streaming system that can play whatever you like from wherever you like. Whether it's Spotify, a stream from your NAS/laptop, or listening to MP3 and DSD files, this Onkyo has you covered. Add to that a sound that’s spacious, agile and boasting plenty of detail and we think it’s a bit of bargain, even at £550. "It is a warm, musical sound; it isn’t the most detailed or analytical, but it has an endearing, full-bodied character"
Pro-Ject’s latest deck looks like a chopping board. A very classy chopping board that can also play vinyl records. It’s a fine turntable, with a nice, musical sound that isn’t the most detailed or analytical but manages to convey a sense of large-scale dynamics. It could use more precision but even so the Pro-Ject is an engaging turntable that’s worth a look. "But if you’re purely after cheap sonic thrills, the DTX 350ps are the ones to snap up"
The DTX 350ps aren’t the flashiest of cans, but if you’re looking for a pair of reasonably priced, nice sounding headphones, they're well worth an audition. Their expressive sound belies the plasticky look, with the Beyerdynamics not afraid to inject some oomph when it’s required.